I was very honoured to have been nominated by textile artist Claire Wellesley-Smith to take part in a blog hop that has been doing the rounds recently. You can see her original post here as well as the post by my fellow nominee, textile artist Hannah Lamb here. I have four questions to answer, which I will then pass on to two others. I am currently working on an as yet untitled large-scale tapestry hanging. It is about 7.5 feet wide and I am about a quarter of the way through. It is a very personal piece and the background I’ve discussed before. In essence it is about exploring the discovery of new-found hopes when others have been lost. 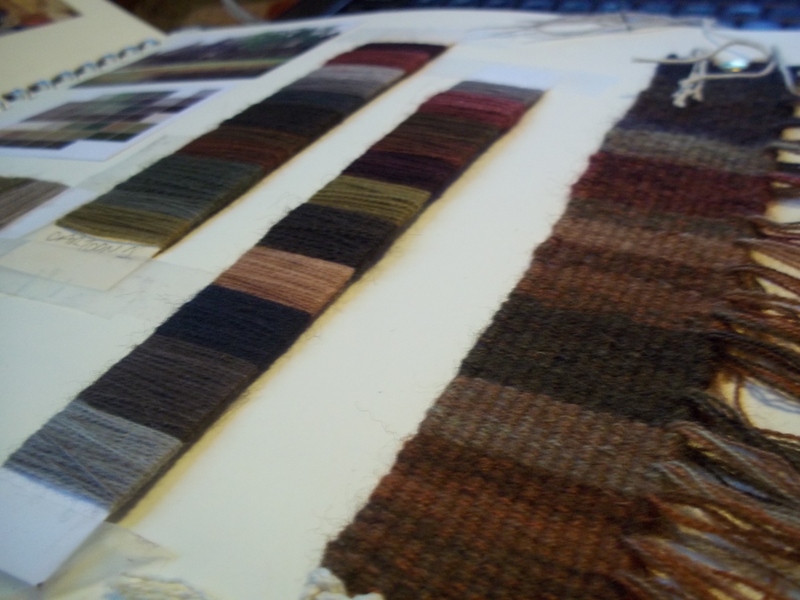 It has been a real challenge; I spent months planning it and weaving samples but once I was in front of the loom I decided to change some of the colours and this has had massive repercussions, and a lot of unpicking and re-weaving has ensued. But I’m glad I did it, I feel I am becoming more confident in my decisions. Although it has taken a long time to bond with this project and trust it will work out, it has all just started to come together and I am starting to get quite excited about it. Although tapestries were once large-scale hangings, many tapestries today are small format works. They are quicker to weave and the looms take up less space so it is easy to see they have become popular to make, but I personally feel something of the boldness and impact of tapestries can get lost once they are scaled down. So I am clinging to the larger sizes, even though they take months to weave. I also use a lot of soumak in my work, it is a simple weaving technique that produces a slight ridge and I like the very tactile textures it can produce. I love the process of weaving, the marriage between my creative side and the technical demands of producing what is at its core a piece of cloth. I love that tapestry also gives me an opportunity to explore whatever I want to, and to tell stories. I also adore the fact that I am doing something that is so rich with history and legacy. I love colour and tapestry gives me a great opportunity to play with that and experiment. I never planned to be a weaver or an artist, this is something that has happened in recent years; it is strange to think I ever lived a life without a loom in it. I have always been creative, but now I have found the means to explore and express it, I have a sense of purpose I could never have imagined before. Not coming from an arts background, the hardest thing for me has been to learn how to put my ideas into a single image. It takes so long to weave a tapestry that I have lots of ideas that I want to explore, perhaps more than I’ll ever have time to weave. Once I have an idea for the design I can start planning the colours which involves a lot of experimental dyeing and blending of colours and weaving of samples. There is often a bit of to and fro between the design and the colours until I am happy with it. With tapestry you start from the bottom and weave upwards so once you have woven over something you can’t change it later; it is best to be well prepared. I’m also going to spend months on a project so I have to know it is worth that investment of time. 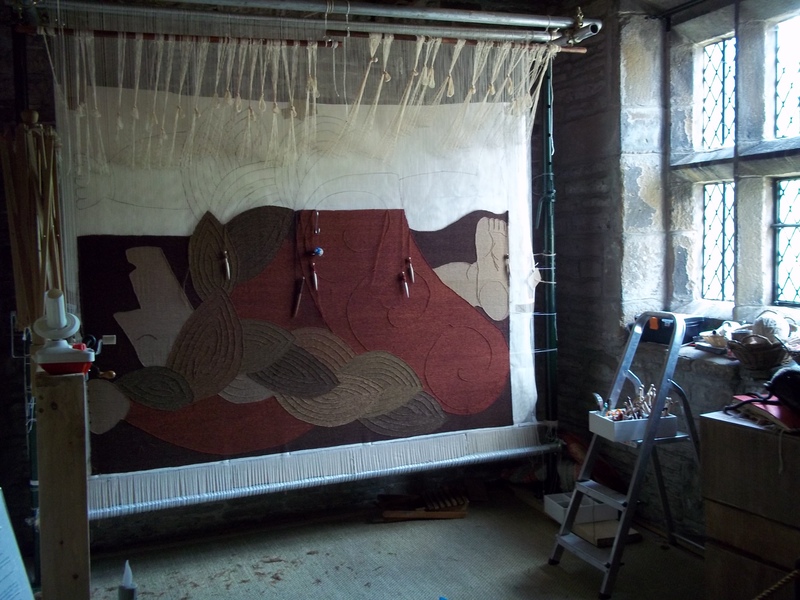 The cartoon is then made, this is a life-sized outline of the design and it sits at the back of the loom and acts as my guide. The loom is then dressed, that is the warps, the backbone of the tapestry, are wound onto the loom under tension and the wefts are dyed. 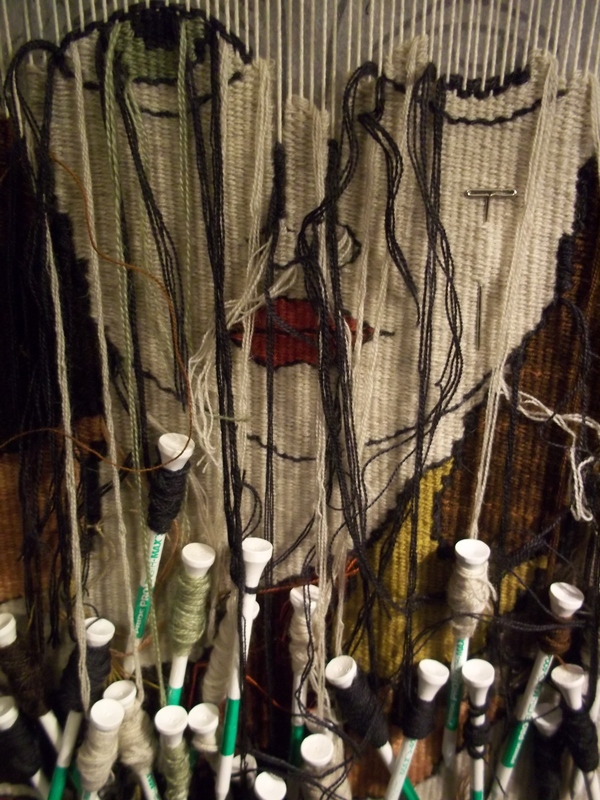 The weft is wound onto bobbins and woven back and forth in discrete areas through the warps to create the image. It is an incredibly slow process, and the reason why tapestries were so valuable in the past. But it is also a very meditative and relaxing one. Although through the preparation I have a planned route before me, it is important to trust my instincts and if something needs to be explored or pushed in another direction, I have to be open to trying it. If it takes more time, so be it. 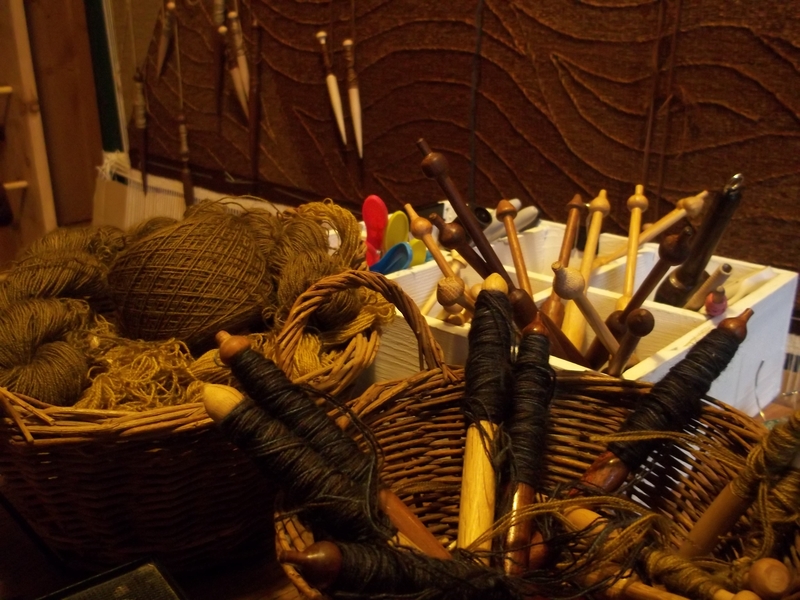 Once the work is finished it can be cut from the loom and made ready to hang. I love that what I am doing hasn’t changed in centuries, if not millennia. I am passing these four questions onto one of my favourite designer-makers Liz Samways. Liz designs jewellery and makes prints and although she works in different mediums they are very symbiotic. I love her colours and share many of inspirations and although I am not a jewellery person I would buy every piece she makes if I could. I am also passing these questions onto Jo Atherton, someone I recently came to know through my work as the weaving features editor for the Journal for Weavers, Spinners and Dyers. Jo makes vivid and playful tapestries using flotsam, but also uses her work to highlight the plight of our seas. Look out for their posts a week today, 24th November. It’s funny you should say that Jennifer, I’ve always thought tapestry had a lot more in common with sculpture than, say, painting.